Merry meet! 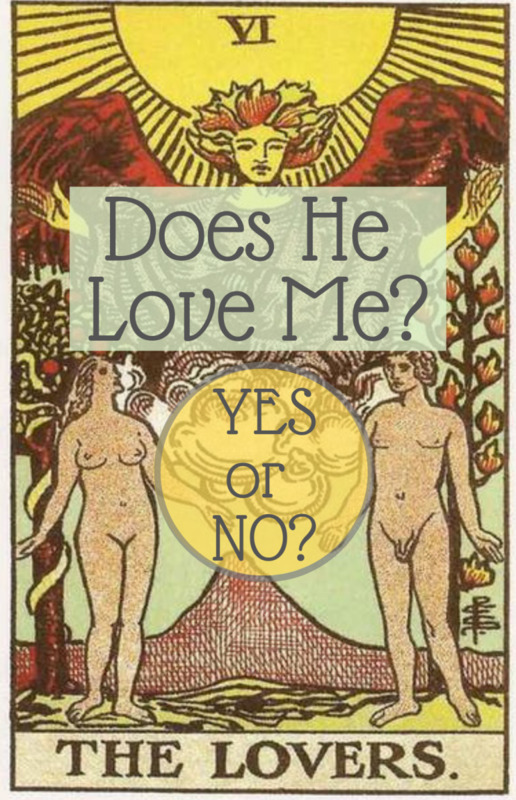 If you are looking for love, here is an easy tarot love spell to help you attract a new romance into your life. 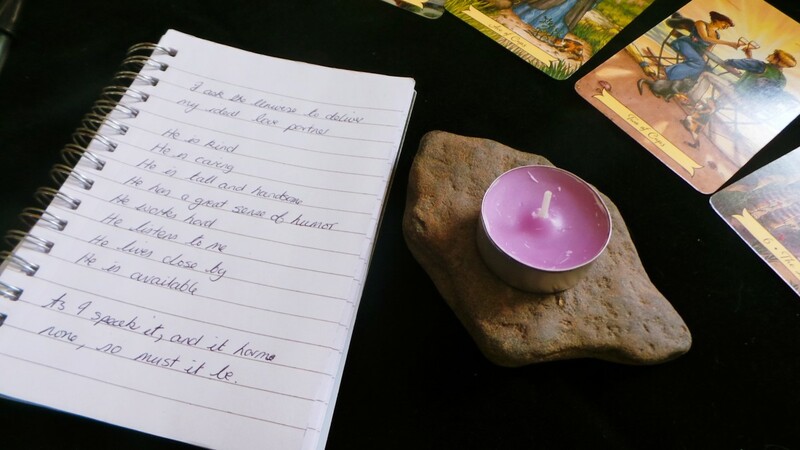 Before you begin, it will benefit you greatly to understand how magic (or magick, as we spell it in the craft) really works. A spell is comparable with a ritualized prayer. Its function is to move energy, to direct it purposefully to do our bidding. The work is done internally, using intention and emotion. This internal work causes changes to occur on the outside. Simply following the instructions mechanically will not work. That would have as much effect as drying the dishes. 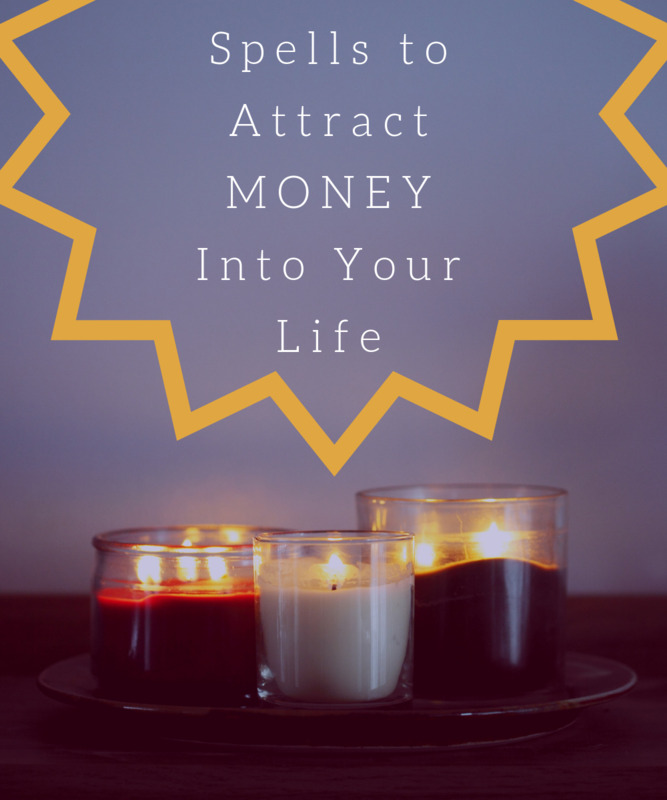 You have to get your head and body into the correct mode in order to shift the energy and to get your intention impressed onto… whatever it is that creates the magick. Many New Thought proponents of the early 20th century believed there is an invisible force that surrounds us. 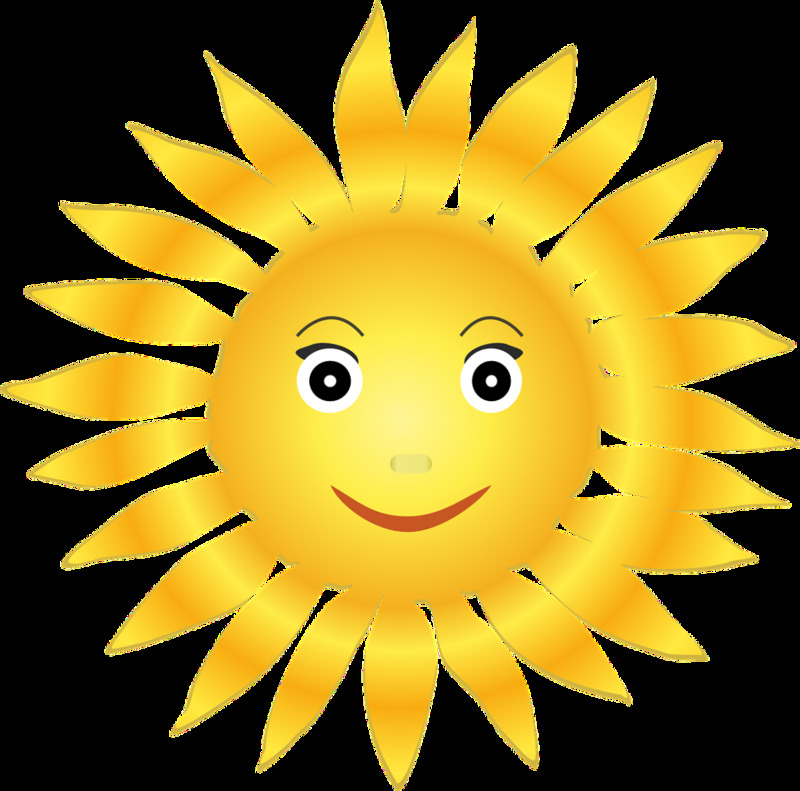 It permeates every cell and molecule in every living being and inert object. That each time we intentionally impress a request on ‘the force’ things begin to happen. The trouble with us humans is that our thoughts are scattered, our intentions undermined by belief and so the results of our wishes are never quite fulfilled. Practitioners of magick, whether they be shamans or druids or witches, have known this forever. The ancients worshiped the spirit of the elements in the same way. They thought that becoming the energy, being part of the whole, losing what we call the ego, enabled them to make the magick happen. Indeed, the old wise witches of Cornwall, where I was born, actually called it ‘becoming’. Today we could refer to it as a meditative state or trance. So, now you know how magick works, do you think you can enter into spell work fully in order to manipulate energy in your favor? If your answer is yes, then let’s get started. Although this spell is simple to enact, you must make the correct preparations. Timing is important, and your spell will have much greater potency if you carry it out at the right time. Spells to attract love are best done at the time of the waxing (growing) moon. It is easy to check the moon phases by a quick online search. You can even add apps to your PC and phone. The best day of the week to do a love spell is Friday, which is associated with the planet Venus. And Venus is the goddess of love. It’s not imperative to do it on this day, but it’ll be more effective if you do. Read through the instructions. At first they will seem to be complicated, but if you read through them a few times you’ll see that they are not. There’s nothing wrong with printing out the steps and having them nearby. There’s no need to stress out trying to remember them. One pink or white votive or tealight candle. 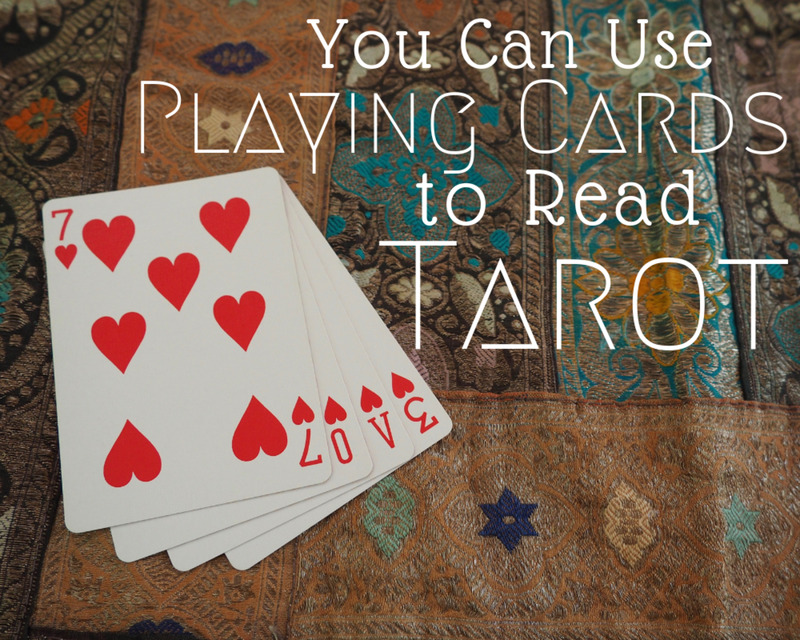 You’ll need about half an hour to do this easy tarot love spell. I am using my new favorite tarot deck, The Everyday Witch Tarot by Deborah Blake, but you can use any deck you prefer. He is available and open to a relationship with me. Of course, it is good for you to create your own list, but feel free to use any or all of the above. Notice that the requirements are written in the present tense - as if he were already in my life. That’s important. Make the list as long as you like. Think about each one carefully to make sure it has no negative connotations. 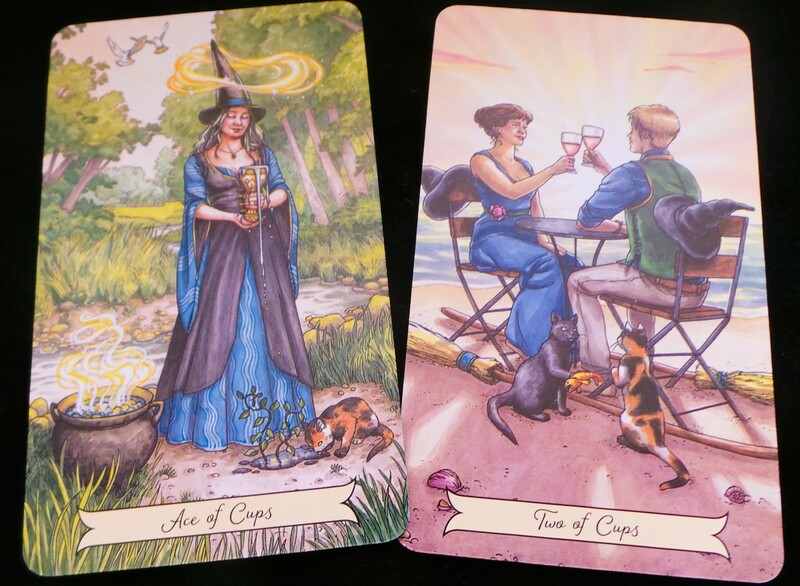 Take your tarot deck and find the Magician, the Ace of Cups, the Two of Cups, the Lovers and, if you are looking for a long-term relationship, the Ten of Cups. Place these cards face up in front of you in that order. Put the rest of the cards aside. Lick the ring finger of your right hand once and rub it on the sides of the candle - if it’s a tea light, just lift it out of its holder. Many people use essential oils to anoint candles but I find that licking my finger is just as good. The right hand is the dextral hand and is used for positive or attracting magick. The sinistral, or left hand, is used for banishing or reductive magick. Take a few minutes to breathe gently and count backwards from ten to one. Relax your body as you do so, and allow your thoughts to float in and out of your mind. Let them in and then let them go. When you feel relaxed, light the candle and place it so that its light shines on the cards before you. Look at the Magician card. This is the card of powerful intent. 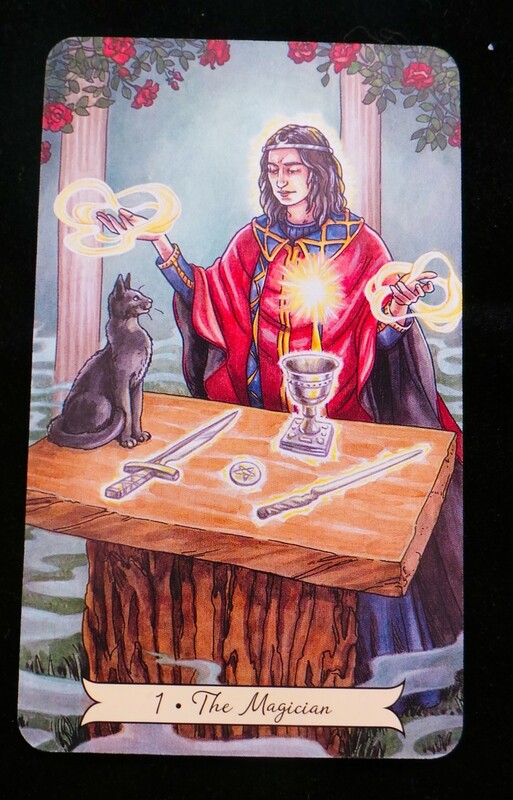 The Magician has all the tools to hand to allow him to move energy, yet he knows that his most powerful ally is his will. Feel this power surge through you as you look at the card. Read the phrase at the top of the page out loud, "I ask the Universe to deliver my ideal love partner." Now read out your list. Look at the next card, the Ace of Cups. This card represents the pure emotion of new love. Look at the card and feel that pure love energy flow through you. If you need to, pause, breathe deeply three times and count backward to maintain your state of relaxation. After a minute or two, move on to the next step. Move your attention to the Two of Cups. 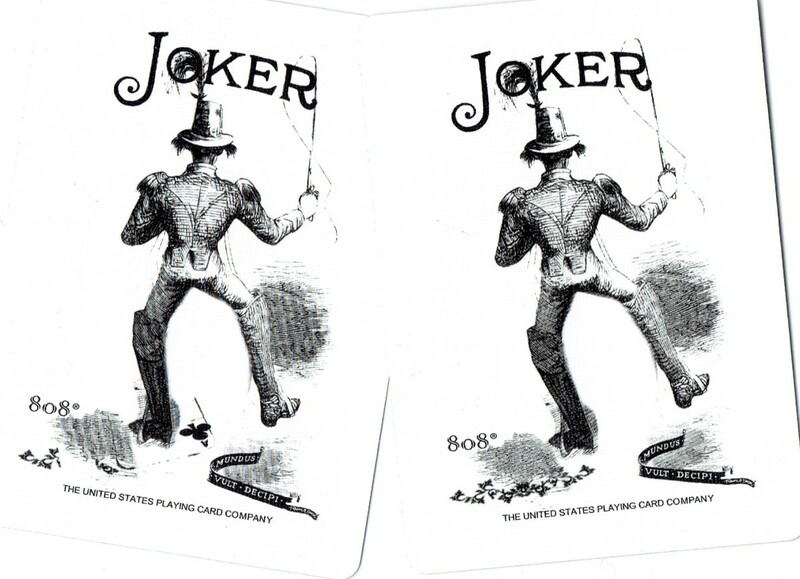 There are usually two figures on this card intent upon each other. This is the card of attraction. Look at it and see yourself as one of the figures, being part of the scene and feeling what they are experiencing as they gaze upon the one they adore. Now look at the Lovers. This card represents deep love. When two are as one. When your very souls have entwined and you feel blessed by a sacred spirit. Pause, breathe and feel that love flow through you and into your heart and soul. Then move on to the last card, if you have included it. If not, go to step 10. 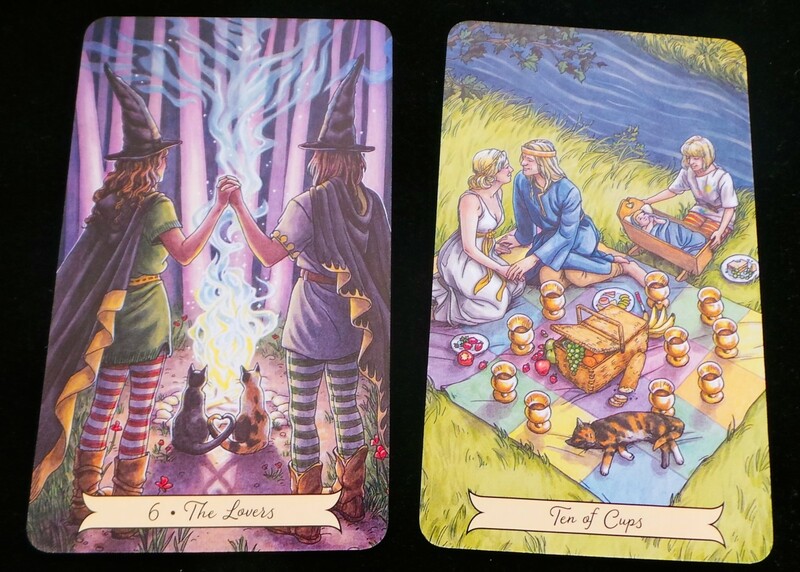 The Ten of Cups is complete love, both on the spiritual and mundane level. The intensity of the the first cards has lessened but has grown to encompass family, home and hearth. It is the card of a loving family life. Pause, breathe and feel what that would mean to you. Feel the connections, the security and the peace of your future life. Read all the phrases on the paper aloud again and add, “As I speak it, and it harm none, so must it be.” And that’s it. Fold the paper, place the candle on top (making sure it is in a safe place and on an appropriate saucer or shallow bowl). Allow the candle to burn out in its own time. Once it’s out, dispose of the remains of the spell as you see fit. Some like to burn the paper, bury it or just trash it. Place the cards back in the deck. Take a few moments to bring yourself back to normality. Shake your hands at the wrist, run them under cold water and get something to eat and drink. If you feel a little spaced out, take your shoes off and connect to the earth in some way. 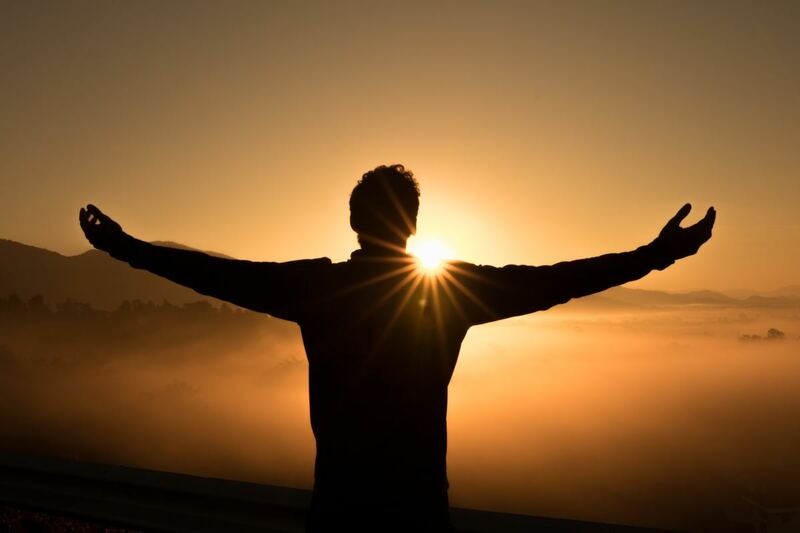 You have set your intention and, with the help of your list and the tarot cards, you have moved the necessary energy through your body. By speaking aloud, you have sent the energy forth. Now the universe or the ‘force’, if you prefer, is busy working to deliver the intent you have impressed upon it. Know that the spell is out there and doing its thing. Now, you can stop thinking about it. Don’t expect immediate results. The best results come when you aren’t expecting them. Good luck and may your love be with you soon. Merry part. Could You Be a Witch? Have You Got What It Takes? I wonder What is Tarot actually,I need to read more of your writings,it seems a great article to dig in! From the dead? Or do you mean get back with your ex? If it's the first, then no. If the second, then only if they want that too. You can't force someone to act against their will. Can I bring someone back? Hi Lori, I don't have one specifically, though there are plenty of examples available. I always think the most powerful banishing evil spells are the ones you construct yourself. So find a basic one and then make it your own by adding words that come from your emotions.